We’re all fond of the Dropbox application right? But wouldnt it be a tad better if you had at least 1 TB of data storage available on the cloud? That is what’s being offered by the Western Digital MyBook Live NAS (Network Attached Storage) and that is not the end of it… read on. The WD Live is not just a simple drive which holds data. It actually has a built in CPU that manages the file access and monitoring that it does. With the SmartWare application, the hassle of rearranging files is lifted off your shoulders and they are smartly characterized into Music, Photos, and Movies automatically. It has support for both Android and iOS through free apps that will allow you to see / read the data stored within it (photos in general). I would need to get myself one to know if you can write to it using a mobile too, it should be supported though, I dont see why it wouldnt be. 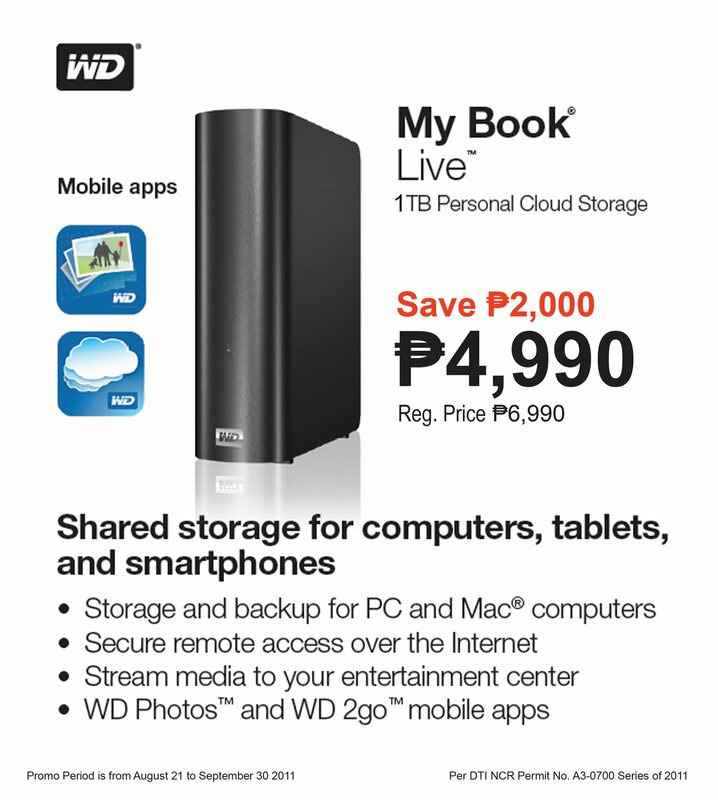 Now for a limited time, Aug 21 to Sep 30, WD is cutting off its retail price by 2000 bringing a 1 TB network storage solution to 4,990Php. 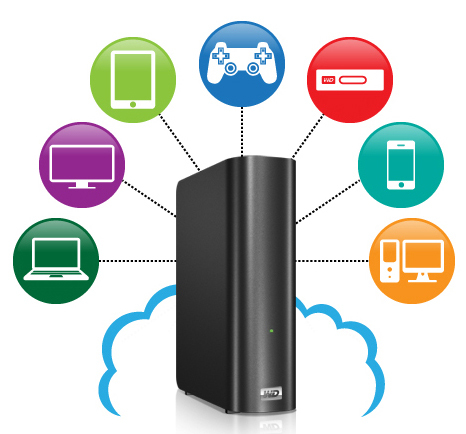 If youve been holding off from buying a backup and storage device, now is the time for it. Special thanks to Julz Manaois for the tip! Does this have a 2TB version that is also on sale? I was advised that only the 1TB variant is on sale. Thanks for dropping by!